The Arizona Cottage Food Law went into effect in July 2011. Under this law you can prepare non-hazardous foods in a private home for sale to the public if you meet all the necessary conditions. You are required to obtain a food handler card before baking and decorating cakes. Each county has a different procedure and test. If your county does not require a food handler card, you are strongly encouraged to review the links at the bottom of the page to become familiar with safe food handling practices. No internet sales: You can (and should) have a website. you can not take payments online via a shopping cart, paypal etc. Food handler’s training is not required, but it is encouraged. No health inspection is required. The piece that seems most confusing to me is the transaction rules that I’ve seen circulating on the internet. Some say that the actual payment transaction must take place in the home. I am not seeing this in the law, though I’m not a lawyer. It is only explicitly stated that no internet sales are permitted. 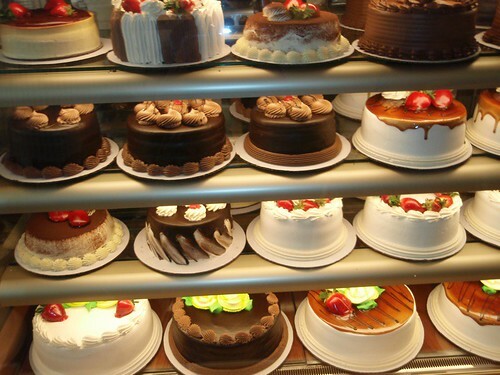 If for example, you deliver a cake to a wedding reception, could you accept payment at the delivery location? Given that the letter of the law is: sells the foods produced under Paragraph (A) only directly to consumers, you are still selling directly to the consumer and not through the internet. Keep in mind no matter where the transaction takes place, you should still offer consumers the means to pay with a credit card. One inexpensive option is the new service from square. This service requires you to have an iphone, ipad or Android phone. Once I have more information about the selling rules, I will post an update. Keep in mind the spirit of the law is that you are interacting face to face with your customers — that’s the best way to do business anyway! Post any questions here and I will do my best to answer them. I will also be seeking an opinion from an attorney so check back soon. As a business consultant most of the questions that come to me are business-related and I can feel good about pointing someone in the right direction about getting their cake or cupcake business on the right track. Occasionally however, I am asked cake decorating questions and recommendations for the best way to learn cake decorating. My books are written for the hands-on entrepreneur – someone with a dream and the desire to work in the day-to-day operation of a cake or cupcake business. In any food-service business two of the most important aspects of the operation are product creation and the management of the business. Most people who start bakeries from the ground up aren’t business people; they’re what The E-Myth author Michael E. Gerber calls “technicians” (i.e. people with a skill). For example, someone who loves to make pies and wants to reap the profits of their skill. If your bakery is to survive, you need both technical skills and business skills. Are you passionate about the fine details of the science, culture and history of baked goods? A formal education may be right for you. Learning the baking techniques in an academic situation gives you the credibility to approach a bakery for the type of job you want or eventually own a boutique cake business. You can learn the best practices (both culinary and business) while applying that knowledge in a situation without real world repercussions. Since a cake bakery is your ultimate goal, your curriculum should include not only bread and pastry, but also nutrition, management, marketing and more. The biggest drawback to pursuing a Culinary School Education is the cost. As an entrepreneur, you will need resources to start your bakery and school can be very expensive. Working in a cake shop will teach you the day-to-day tasks, the stress of customer and financial demands, the interaction with customers, the business processes and the lifestyle that you only gain on the job. There is much to be learned in a working bakery. However, without some previous kitchen experience, you will most likely find yourself starting in a role that has little to do with your ultimate objective, such as janitorial work. A third option is to educate yourself by practicing every skill you want to master; reading books, networking with other bakers and pastry chefs and getting experience anywhere you can. This might include volunteering, working in a school kitchen, job shadowing and working for family and friends. There are countless stories of food entrepre-neurs who started by sharing their product with those around them, and then growing into full-fledged businesses. Your personal path has everything to do with your current experience and level of passion for filling in the gaps of your knowledge. A step- by- step process for icing a cake with a crusting buttercream. A complete A-Z education on how to prepare and cover your cakes properly with rolled fondant. These step-by-step illustrated instructions turn you into the cake designer/pastry chef you always dreamed of being! This 20-minute podcast features 1998 graduate Duff Goldman, owner of Charm City Cakes and star of the television series ‘Ace of Cakes’. Topics discussed include creativity, objectivity and the art of cake decorating. Cake Business, Coffee, Gelato and a Bar. You can also watch Cake Boss on Amazon Unboxed. The best part about this is that you can pay for just the episodes you want.